For several decades, psychologists have been studying creative mental processes, and we have a really good understanding of what goes on in the mind when people are being creative. I summarize this research in my 2012 book Explaining Creativity, by grouping all of the research into eight “stages” or “habits of mind” that are involved in being creative. And in my 2013 book Zig Zag: The Surprising Path to Greater Creativity, I describe over 100 techniques to train your brain in these eight stages. Question conventional analogies. Sometimes the most obvious analogy is a dead end. Trying to invent an airplane by copying how birds flap their wings never worked. Look to diverse sources. The most radical innovations often come from what psychologists call “distant analogies”, where the analogy comes from a radically different industry or discipline. This is why so many great breakthroughs come from interdisciplinary teams. Simplify. The best analogies make complicated things easier to use. Pollack’s book restates much of what we already know about innovation, but it’s well written, and his stories add to our growing database of historical examples that show how innovation works. ZIG ZAG Published in Chinese! Great news! 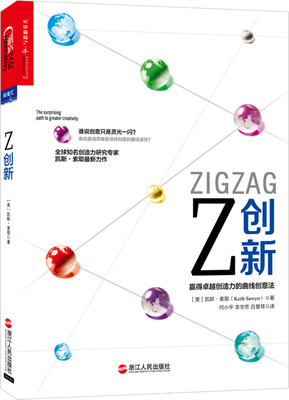 My 2013 creativity advice book, Zig Zag: The Surprising Path to Greater Creativity, was just published in a Chinese language edition, by Cheers Publishing in Beijing. Just minutes ago, I received my author copy in the mail. It’s so exciting to see that my ideas are available to readers in China! Many thanks to the team at Cheers Publishing, for their professionalism and their rapid speed in translating and publishing my book! The aim is to change the current system, in which a tiny, highly educated elite oversees vast armies of semi-trained factory workers and rural laborers. China wants to move up the development curve by fostering a much more broadly educated public. China is investing $250 billion each year in its universities. In the last ten years, the number of colleges in China has doubled, to 2,409. That’s 1,200 new universities in ten years, which is 120 new universities every year! And Keith Bradsher reports that these are not just phantom campuses–all of the classroom seats are filled. (Their biggest problem is finding qualified instructors.) By 2020, China’s goal is to have 195 million graduates each year (compared to the 120 million predicted in the U.S. that year). Much depends on whether China’s authoritarian political system can create an educational system that encourages the world-class creativity and innovation that modern economies require…. The overarching question for China’s colleges is whether they can cultivate innovation on a wide scale–vying with America’s best and brightest in multi-media hardware and software applications, or outdesigning and outengineering Germans in making muscular cars and automated factory equipment. Bradsher calls this “the innovation riddle” and compares China’s current situation to Japan just after World War II. In the 1950s and 1960s, Japan focused on university education much like China is doing now. In many ways, it was a huge success; Japan has a large middle class and one of the world’s largest economies. “But partly because of a culture where fitting in is often more prized than standing out, Japan hit an economic plateau.” Economists predict that China’s cost advantage in labor and cheap capital will disappear within 10 to 15 years. The riddle is: How can China transform itself into an innovation economy in just ten years? When workers change departments for a short time–for example, shadowing another employee in a totally different part of the organization–it enhances the innovation potential of the entire organization. That’s because it results in more “weak links” throughout the organization’s social network. And from research, we know that creativity is more likely to result when information flows through these weak links–because it brings together diverse types of knowledge into surprising new combinations. To help workers sharpen their skills, stay motivated and identify new roles they might aim for in the future. Moreover, they help address a challenge that many companies are facing: how to better foster collaboration across different specialties and regions. An Intel, employees can find temporary assignments by searching an internal database. This program just launched last March, and already 1,300 positions have been filled. 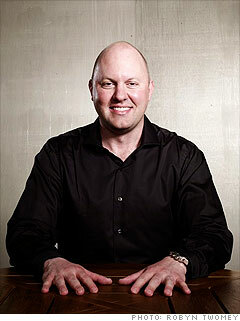 Other companies finding success with this approach include Virgin America and PricewaterhouseCoopers. Research shows that all of these methods help to diffuse tacit knowledge–the kind of knowledge that’s hard to capture in computerized knowledge management systems, or in formal documents. And research shows that it’s this tacit knowledge that, more often than not, results in innovation. *Lauren Weber and Leslie Kwoh, “Co-workers change places.” Wall Street Journal, Tuesday February 21, 2012, p. B8.